Let's start with LTE. As of today, the company's 4G LTE footprint now covers 116 metropolitan areas and 157 million people – more than 57 million more than its mid-year goal of 100m. While that in itself is fairly impressive, it's not all that's moving on the LTE front. The company also added two new Android-powered LTE devices to its portfolio today: the Sony Xperia Z, available beginning on July 17th from T-Mobile, and Samsung Galaxy Tab 2 10.1, which is available now. Families were also shown love at today's event – starting July 14th, Simple Choice plans will offer four lines with 500MB of data each for $100, without a credit check. That's a phone for everyone in the family, regardless of what your credit score may be. Of course 500MB of data isn't a lot, so fortunately there's an option to add more data per line. But none of those things are game-changing. 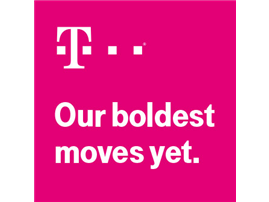 Since doing everything differently from the other carriers is what T-Mo is all about lately, it also announced JUMP – a new feature that will allow customers to upgrade their device twice a year. The service itself is $10 a month and it doubles as an insurance policy, making it a pretty incredible value. Here's the gist: if you break your phone, you can use JUMP to get a new one (with deductible). If you are tired of your phone or just want a new one, you can trade it in up to twice yearly. And when you trade in your existing handset, you no longer have to pay on it – you immediately start paying on your new device, and that's it. So, instead of getting to upgrade every two years, you're upgrading twice yearly, and you'll only be paying slightly more per month than you likely already do for an insurance plan on your on-contract phone. That's a big deal. Overall, these are some major changes, and T-Mobile is once again affirming its alliance to customers. This is definitely a step in the right direction for mobile plans, so hopefully we'll start to see more of these kinds of changes become commonplace across the industry. NEW YORK — July 10, 2013 — T-Mobile US, Inc. (NYSE: TMUS)isn’t resting after turning the industry upside down with its “Un-carrier” approach to wireless earlier this year. It’s picking up the pace and continuing to revolutionize wireless for consumers. • Xperia® Z from Sony. T-Mobile will be the exclusive U.S. wireless company to offer Sony’s flagship water-resistant Android™-powered smartphone to customers this summer.2 The Xperia Z will be available for $99.99 down, with 24 equal monthly device payments of $20 for well-qualified buyers for 0 percent APR on approved credit3 through T-Mobile retail stores and select retailers, as well as online athttp://www.T-Mobile.com starting July 17. On July 16, customers can also pre-order the device online from the same website and receive a free Sony Wireless Bluetooth Speaker gift with purchase (while supplies last). Customers may also purchase the device beginning today at any of the 38 U.S. Sony Store locations, including the flagship store in New York, or online at www.Sony.com/xperiaz/tmobile and will be eligible to receive the free Sony speaker as a gift with purchase (while supplies last). • Nokia Lumia 925. Also starting July 17, T-Mobile’s first 4G LTE Windows Phone will be available for $49.99 down with 24 equal monthly device payments of $20 for well-qualified buyers for 0 percent APR on approved credit3 through T-Mobile retail stores and select retailers, as well as online at http://www.T-Mobile.com. • Samsung Galaxy Tab™ 2 10.1. T-Mobile will provide current Samsung Galaxy Tab 2 10.1 users with an over-the-air software update that will enable customers to take advantage of T-Mobile’s 4G LTE network in the coming weeks. Well-qualified customers may also purchase the device with the 4G LTE capability for $99.99 down with 24 equal monthly device payments of $15 for 0 percent APR on approved credit3 through T-Mobile retail stores and select retailers, as well as online at http://www.T-Mobile.com today.